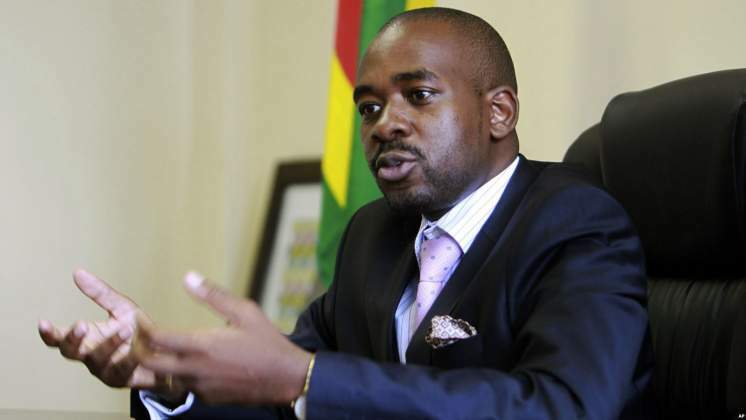 MDC Leader Nelson Chamisa has stated out that he is not interested in any Government of National Unity with ZANU PF leader Emmerson Dambudzo Mnangagwa but is interested in a national dialogue only. In a frenzied twitter thread on Thursday Chamisa said, "We beg not for a government of National Unity. Our call is for dialogue on reforms and legitimacy. We don't know where Mnangagwa gets the this GNU idea. We must respect the will of the people who voted overwhelmingly for change on the 30th of July. We have a truly people's government. "There is a difference between dialogue and GNU. The unfortunate thing is that Mnangagwa thinks everything is about power. Building a nation is much more than just love of power but the power of love." When asked whether he is willing to recognise President Mnangagwa as the legitimite leader of the country he said, "It is difficult to recognize a lie as the truth just to appease others. It is called deception wholly UnGodly and without integrity. Political banter is the menu of good politics. Maturity is in the age of utterances not just the age of he who utters them." "The secret to a great nation is vision, love and humility by its leadership. Arrogance is always ignorance disguised as invincibility. Weak leaders boast and divide. Strong leaders reach out to unify. Zimbabwe needs dialogue on reforms ,economy, legitimacy and nation building not GNU." Chamisa further said. On Wednesday President Mnangagwa ruled out the formation of a Government of National Unity (GNU) with MDC , saying the ruling Zanu-PF had won an overwhelming people's mandate in the July 30 harmonised elections. "After the announcement of the election results by the Zimbabwe Electoral Commission (ZEC), Zanu-PF got a two thirds majority in Parliament which was two times more than what they (MDC) got," he said.